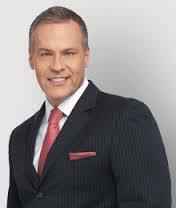 Global Television news anchor Leslie Roberts has been suspended from the media network after a Toronto Star investigation found he is part owner of BuzzPR, a small public relations firm. According to the report, clients of BuzzPR have appeared on Lesley’s show, and failed to disclose the fact that he is part owner a public relations firm to the television network. In his role Lesley is anchor on Global’s News Hour and the Morning Show, he is also Executive Director of Global News, part of BuzzPR’s offering includes media training. In response to the investigations, Global has suspended him “indefinitely,” which was decided a just a few hours after the Star approached Global for comment. As this story makes its way across both journalists and public relations professionals desks the question of ethics will come into play. Does a journalist need disclose any relationship which could appear as a conflict of interest, or is their time outside of journalism their own? PR In Canada has reached out to BuzzPR, but so far no comment.